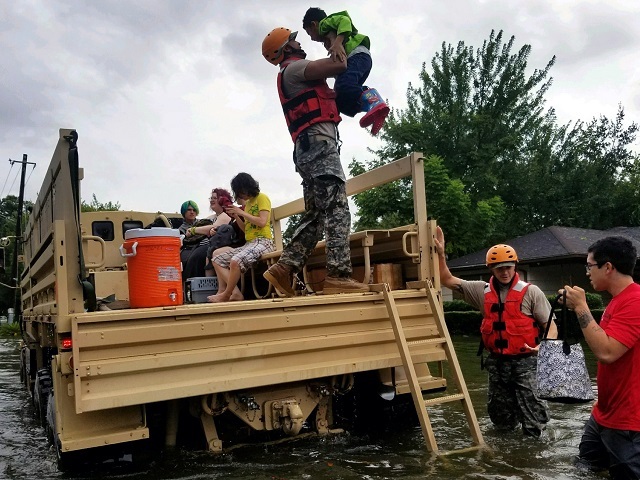 As southeast Texas residents and officials conduct what’s certain to be a grim accounting of Hurricane Harvey’s deadly impacts, they will also turn their attention to rebuilding and recovery. When they do, they will face a clear choice: whether to return to past practices that put them at risk of devastating loss and damage, or to build back more resiliently, with policies and practices that better protect its residents, especially the most vulnerable. It’s a choice that countless communities confront as climate change fuels more frequent and intense storms and higher sea levels, both of which increase the risk of flooding. These effects are being felt across the globe: in the past few days, as Harvey unfolded in the United States, floods from extreme monsoons killed more than 1,200 people in Southeast Asia. In the weeks and months ahead, scientists will work to unravel the connection between climate change and the likelihood of Harvey’s occurrence. In the meantime, we know that climate change very likely contributed to the storm’s devastating impacts. Climate change has resulted in higher sea levels, adding critical inches and feet to storm surge in coastal areas and reducing the capacity of drainage systems that flow into the ocean. And ocean water is warmer, feeding higher levels of atmospheric moisture that can fall as heavy rain (or snow). Though Harvey’s deluge was unprecedented, flooding is far from a new phenomenon in Houston and surrounding Harris County, which acknowledges, “Flooding is Our Natural Disaster.” The region, home to the nation’s fourth largest city and vital energy infrastructure, has suffered other epic storms. Last year’s Tax Day Floods killed eight and damaged hundreds of apartments. In 2008, Hurricane Ike became the third costliest hurricane in U.S. history, ravaging Galveston, Harris County, and elsewhere. In 2001, Tropical Storm Allison dropped 80 percent of the area’s average yearly rainfall in a single event, killing 23 people in Texas and causing as much as $9 billion in damage. But the region also experiences the steadier assault of repetitive floods exacerbated by two factors: challenging topographical conditions and development pressures and patterns. In a groundbreaking 2016 series of reports on the causes of rising flood impacts in and around Houston, Texas Tribune and ProPublica journalists noted: “[E]xperts and federal officials say Houston’s explosive growth is largely to blame. As millions have flocked to the metropolitan area in recent decades, local officials have largely snubbed stricter building regulations, allowing developers to pave over crucial acres of prairie land that once absorbed huge amounts of rainwater.” Indeed, in a recent case, the Texas Supreme Court nearly allowed downstream residents to sue Harris County for allegedly failing to follow through on a flood-control plan and permitting “unmitigated” upstream development that caused their homes to flood repeatedly. When the city floods, it is often the poorest communities that suffer most. In Houston, flooding has inundated low-income neighborhoods, which occupy lands near chemical plants. Health officials are worried about pollutants spilling into the floodwater from surrounding toxic waste sites, but residents claim that they have received little help evacuating. Beyond finding food, clean water and shelter, these citizens will also struggle with recovery. Many couldn’t afford flood insurance, don’t have the money to restart their lives, and may have to pay for long-term government aid. Their voices, their needs and their priorities must be taken into account as the city recovers and rebuilds. 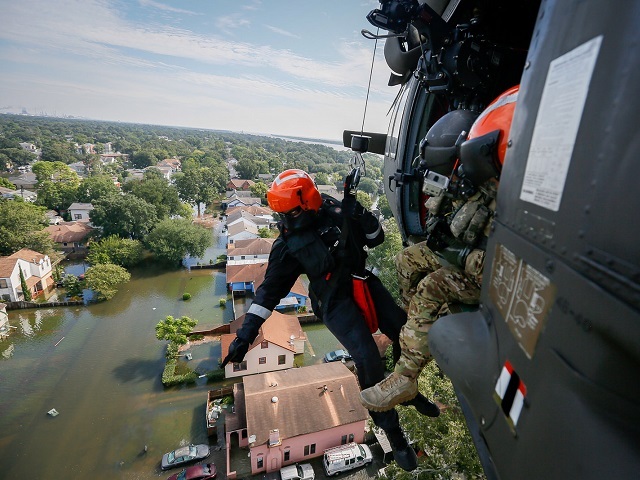 As destruction and immediate emergency response gives way to recovery, here are just a few of the strategies that federal and local officials can consider to increase resilience. Fund Climate-Resilient Rebuilding. Congress can ensure that federal disaster funds flow to projects that account for climate impacts and bolster resilience in the long-term, particularly in low-income communities. Ironically, just weeks before Harvey, President Trump repealed an Obama Administration standard that would have required federally funded projects to account for the broader, deeper floodplains that will result from climate change. The move came despite broad-based, bipartisan support for the potentially life- and cost-saving policy. As Congress takes up both disaster-relief and routine-spending bills, legislators can restore the requirements of the Federal Flood Risk Management Standard to better protect the public and taxpayer funds. Congress can also dedicate greater funding to hazard-mitigation initiatives, in which every dollar spent saves on average four-to-seven in future damages. Finally, Congress can promote innovative public-private partnerships following the model established by the U.S. Department of Housing and Urban Development and Rockefeller Foundation’s National Disaster Resilience Competition. Adequately funding recovery efforts through HUD’s Community Development Block Grant Disaster Recovery (CDBG-DR) program will be especially important, as CDBG-DR programs must directly benefit low- and moderate-income communities. Promote Resilience in the Reauthorization of the Federal Flood Insurance Program. The disaster in Houston unfolds as Congress considers what to do about the battered National Flood Insurance Program, the nation’s single most important flood-risk reduction regime. Designed to discourage risky development through regulation and to provide a last line of financial defense for flooded homeowners and businesses, the NFIP has largely failed to accomplish the first of these goals and has a checkered record on the second. Its heavily subsidized—though sometimes still out-of-reach—rates encouraged development in risky areas. However, another problem, underscored by Harvey, is that far too few people actually carry coverage, which is mandatory only for homeowners with federally-backed mortgages in the areas identified as the highest risk on flood-insurance rate maps, many of which are out of date. Early estimates suggest that only two of every ten Houston-area residents in Harvey’s path of destruction have flood insurance. (In contrast, as many as half of Katrina-affected residents had insurance.). As Congress reconsiders the NFIP, it can bolster flood resilience by funding expanded efforts to update and improve flood insurance rate maps that underpin the system, but fail to account for future climate change. It can also ensure that flood insurance is affordable for the low- and moderate-income residents climate change will impact most. Finally, Congress can reconsider how the program deals with repetitively damaged properties, placing a greater emphasis on hazard mitigation and relocation out of harm’s way. Locally, leaders and residents can redouble efforts to pursue smart water-management strategies that maximize natural infrastructure. They can rethink development in high-risk areas and pursue more stringent building codes to reduce the impacts of and risk to future development. Hurricane Harvey’s human and economic costs continue to mount. As federal disaster-recovery dollars begin to flow, officials have a choice. They can opt to rebuild in business-as-usual fashion, or protect people and property with the resilient, far-sighted approach our changing climate demands. At the same time, Harvey must serve as a yet another reminder of the urgent need to curtail carbon emissions to avoid severe climate impacts. The original version of this blog appeared on WRI.org’s Insights. Christina Chan is the Director of the Climate Resilience Practice at WRI.